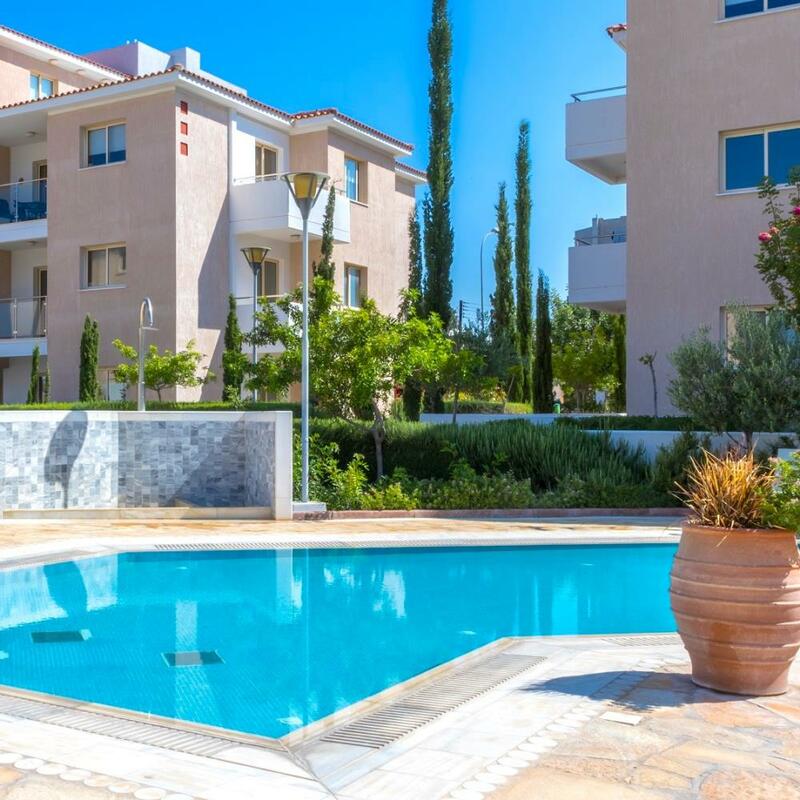 Elysia Park enjoys a superb location in the heart of Kato Paphos, within short walking distance to the sandy beaches and all of the amenities of Paphos town. 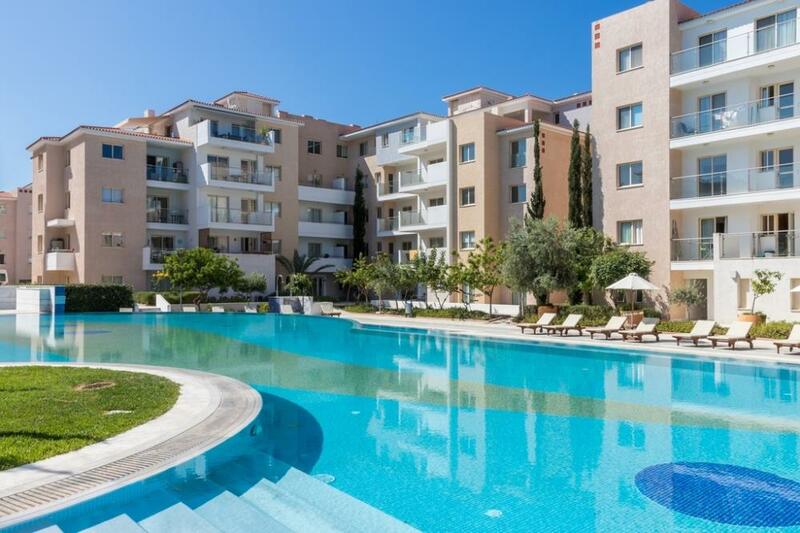 This deluxe mediterranean resort offers spacious two and three bedroom residences, set around large swimming pools and surrounded by lush landscaped gardens. A contemporary retreat, offering luxury accommodation in beautifully appointed studios, apartments, penthouses and garden residences. 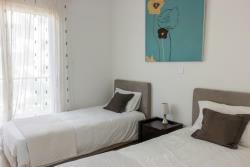 Elysia Park offers high quality self-catering accommodation. Each beautifully finished residence features a fully equipped kitchen, comfortable double and twin bedrooms and its own private terrace or balcony with views overlooking the pool or gardens. Guests at Elysia Park can relax on the sun loungers, whilst the younger guests enjoy the children's pool and play area. At Elysia Park, your comfort and satisfaction are of the utmost importance. The friendly, well trained staff will ensure you have everything you need to make your stay comfortable and relaxing both in and outside of your residence. Elysia Park offers luxury self-catering accommodation in the choice of One, Two and Three Bedroom Apartments, Penthouses and Garden Residences. These residences are ideally suited to those who enjoy escaping from the hustle and bustle of busy hotels and enjoy the freedom, peace and flexibility which luxury self-catering accommodation provides. The residences are separated into two categories; Deluxe and Superior. Whilst both offer a high standard of fully furnished accommodation, the residences in the deluxe category boast premium furnishings and amenities with extra attention to detail. For families, Elysia Park offers the advantage of 2 and 3 bedroom residences, accommodating up to 6 people. Each residence comprises spacious bedrooms with either double or twin beds, a living and dining area with TV and DVD Facilities, a fully equipped kitchen with all the comforts of home and a private balcony/terrace for enjoying the serene sunsets after the children have gone to sleep! In addition, all guests receive a welcome parcel in their residence and can take advantage of complimentary WIFI throughout the resort. *Please note that these services may require advanced booking, are subject to availability and will incur additional costs. New to Elysia Park for Summer 2018. 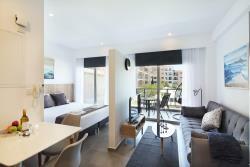 The Deluxe studios feature modern and contemporary design. 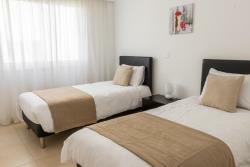 Sleeping up to 3 guests, the studios comprise 1 double bed along with a sofa bed in the living area. 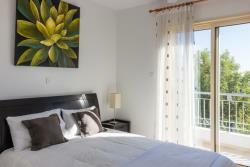 The studios will also feature a private balcony for guests to relax and take in the fresh Mediterranean air. Brand new for summer 2018, the deluxe collection of residences will comprise studios, one, two and three bedroom apartments. 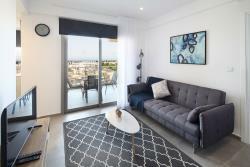 Each apartment will enjoy modern contemporary design combines with all of the comforts of home including a fully equipped kitchen, living and dining area and private balcony. 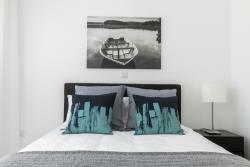 *Please note that the photos are an indication of the property layout and decor. The actual residences furniture and decor may vary. At Elysia Park, your comfort and satisfaction are our top priority. Whether you select a two or three bedroom Superior Apartment or one of our popular 2 Bedroom Townhouses, you can rest assured that you will enjoy a relaxing holiday with all of the luxuries and facilities you could need. Each Residence offers abundant natural light and features at least one private terrace, offering the perfect space to relax and take in the views. Located on the top floor, these luxurious penthouse suites are finished to the highest standards and equipped with climate-control. Sleeping up to six guests, each Penthouse boasts a large master bedroom with king size bed and en-suite bathroom along with two twin bedrooms and two separate bathrooms. The Penthouses feature light and airy open plan living and dining areas and a spacious fitted kitchen, fully equipped with all modern conveniences. Your private rooftop terrace is ideally located to capture breathtaking panoramic views and spectacular sunsets. Whilst staying at Elysia Park, you will automatically have unlimited access to the premium leisure facilities. 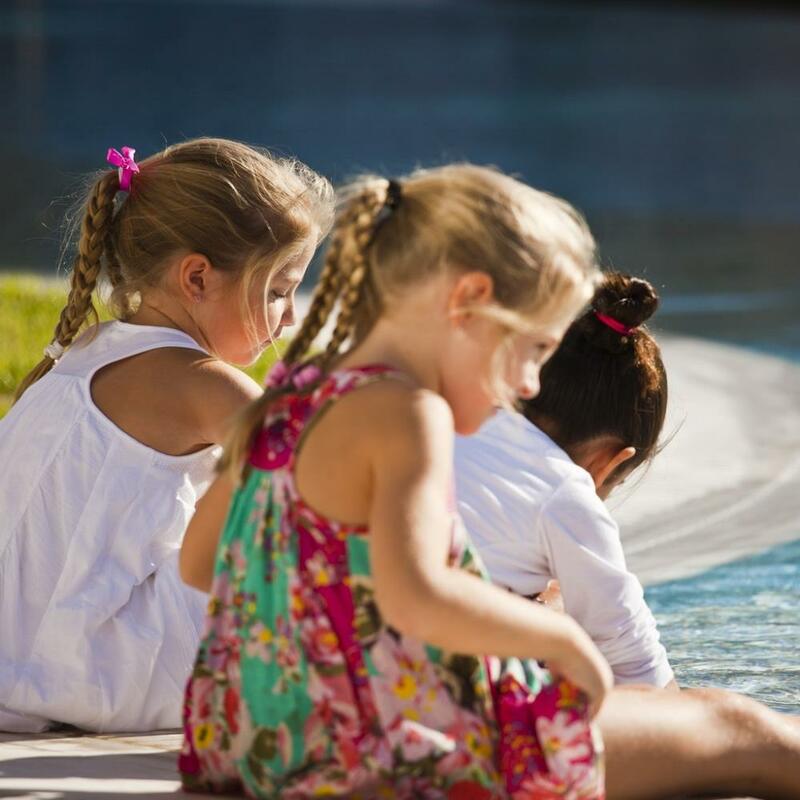 Relax and unwind by the two expansive lagoon pools amongst lush landscaped gardens, Workout on the large decking area ideal for yoga and fitness and for the younger guests, there is an adventure playground and two Children's pools to keep your little splashers happy all day! Children of all ages are always welcome at Elysia Park who pride themselves for the child friendly services and facilities. In addition to the two massive split level lagoon style pools, there are also two smaller children’s splash pools, a children’s adventure playground and family games including ping pong and fusball. During the peak season, a fantastic animation programme, keeping the younger guests entertained with discos, bubble parties and various sporting activities. In addition to the excellent outdoor facilities and entertainment, the accommodations are ideally suited to large or small families, offering the privacy of separate bedrooms, with the convenience of large family spaces. Restaurants, bars, supermarkets and shops can be found within eight hundred metres of Elysia Park. The concierge desk can assist guests with car rental, excursions, golf & spa reservations and much more. There is also a regular shuttle bus service connecting Elysia Park with the beaches and all the important places of interest in Kato Paphos. 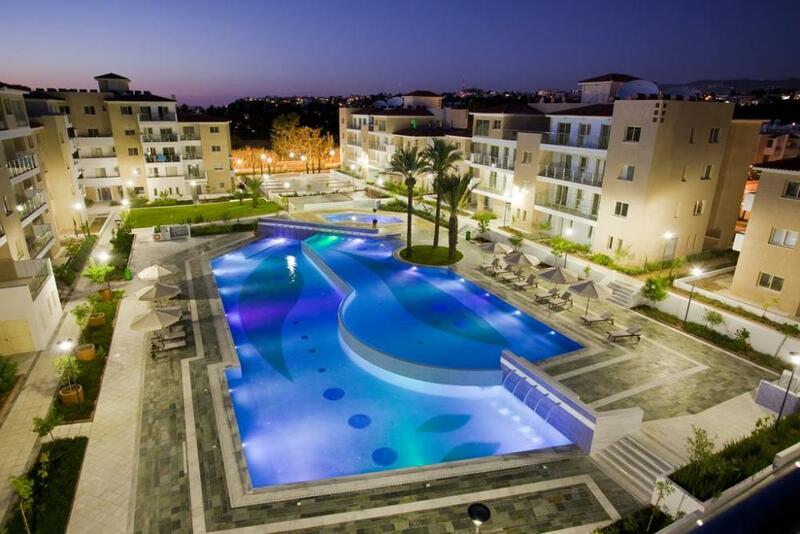 Elysia Park enjoys an excellent location, in a quiet residential area, but still in the heart of Kato Paphos. Just a 15 to 20 minute walk to the local beaches, shops and restaurants. There is a bus stop conveniently located just outside of the entrance of the resort, where bus route 603 will take you to both Kato Paphos Harbour or the bustling old town of Paphos. You can ask the concierge for more information on the local transport during your stay.